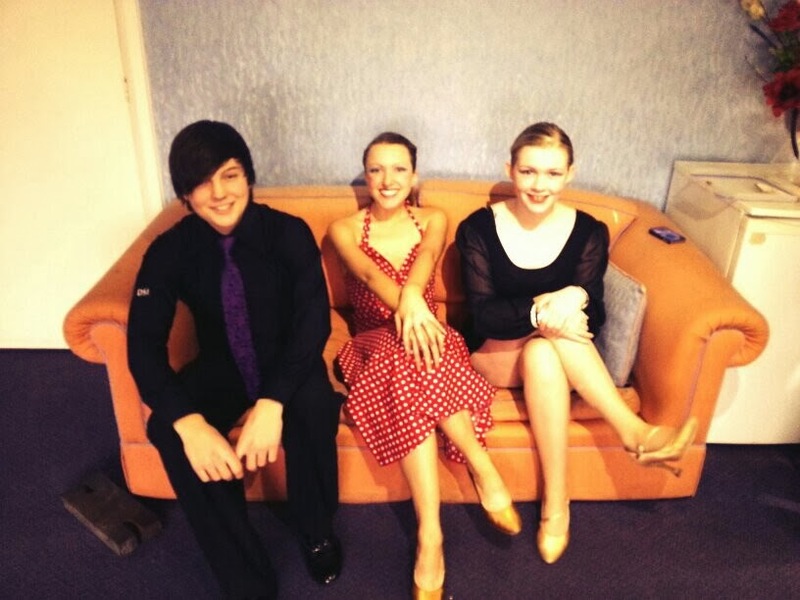 On Sunday 2nd March, Marcus and Alex were accompanied by Peter (student at our Lewes dance classes) and Chloe (student at our Brighton dance classes) to the Pavilion Theatre in Worthing to perform as guest dancers for The Story of Glenn Miller. The theatre was an impressive venue with traditional decor, and was a nice warm haven compared to the howling wind outside! Once the band had warmed up we were then ready for a quick rehearsal on stage before finding our dressing rooms. First on were Alex and Peter dancing the Quick Rhythm to "American Patrol". They even threw in a few Charleston and Lindy hop moves to showcase some of the major dance styles from the early 20th Century. In the second half were Chloe and Marcus, dancing to "A String of Pearls". The choreoraphy started with American Smooth Foxtrot, going into the Ballroom Jive, which complimented the Big Band sound really well. Finally Marcus and Alex performed a professional, high energy Jive routine to "People like you and Me" which only seemed to get faster as it went on! The live band were amazing and seemed to give our dancing a real boost; no recorded track or digital media could beat it. A big Thank you to the Astor Big Band for inviting us - we look forward to dancing with you again! The Team - about to go on! 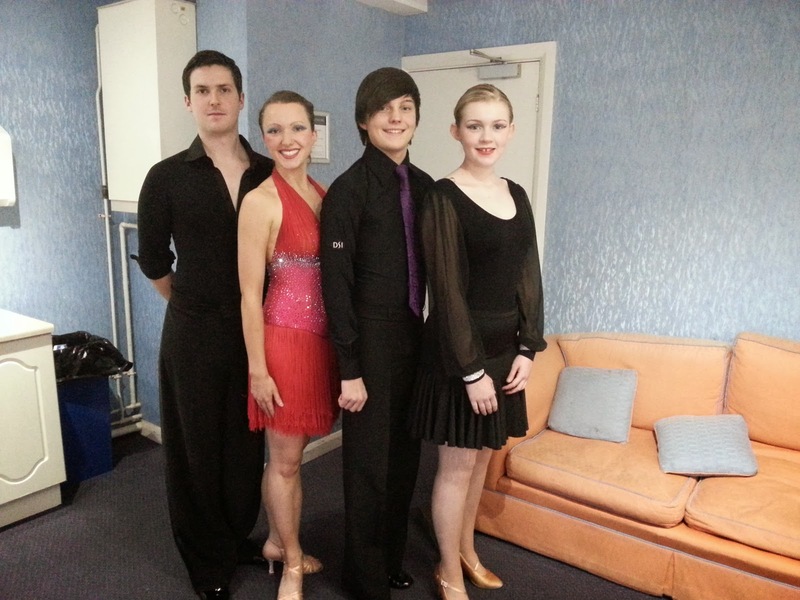 The very next day, Marcus was Jiving again at the Sussex "Got to Dance" competition with Jo Dearden, ESD student and president of the Ballroom and Latin dance society at the University of Sussex. The variety and quality of the dance acts was amazing. There were great contemporary and street dance groups, super cool swing and salsa dance groups, some truly amazing break dancers and, something I don’t think I’ve ever had the pleasure of seeing, the Asian dance styles whose music and dancing we could have listened to and watched all day. Because of the high standard of competitors, we went on with the attitude that we may only dance this once and after the speed, energy and attack we threw into the jive I admit I was glad we didn't have to muster a repeat performance! In all, it has been a very successful week showcasing our dancers' talent at East Sussex Dance and we only have a week before our next performance at the "Sussex Live" show on Friday 14th March. Then its back to teaching our weekly dance classes until April when we have another show to do at Chequer Mead on 12th April, entertaining Senior Citizens on 17th April as well as school medal tests on 27th April. Phew! None of these events would be possible without the talent of the wonderful students at East Sussex Dance. You can view all 3 dance performances at the Glenn Miller show as well as the high energy jive from Sussex Got to Dance on our YouTube page.